Since yesterday the temperature has really gone up. It’s not so bad when the boat is moving (except when you are the bow person in the locks, managing the front ropes under the full glare of the sun) but once we stop for the evening, it’s really hot on the boat. 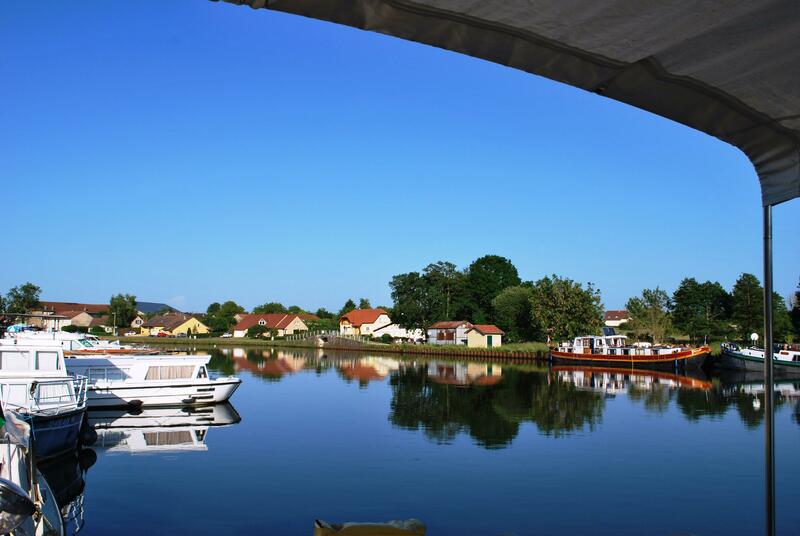 Last night we moored in Legarde at a hire boat depot and had to pay €14 to moor. We tried running two electric fans on the boats heating/cooling system ( you can use it to heat the boat burning diesel or just to blow cold air from outside – in Ireland of course we only used it to heat up the boat) to see if that would help. To our surprise, it worked well and we went to be bed with all systems running full blast. We got real value for our mooring fees and we must have consumed more than the cost in electricity. Tonight, it is a different story. 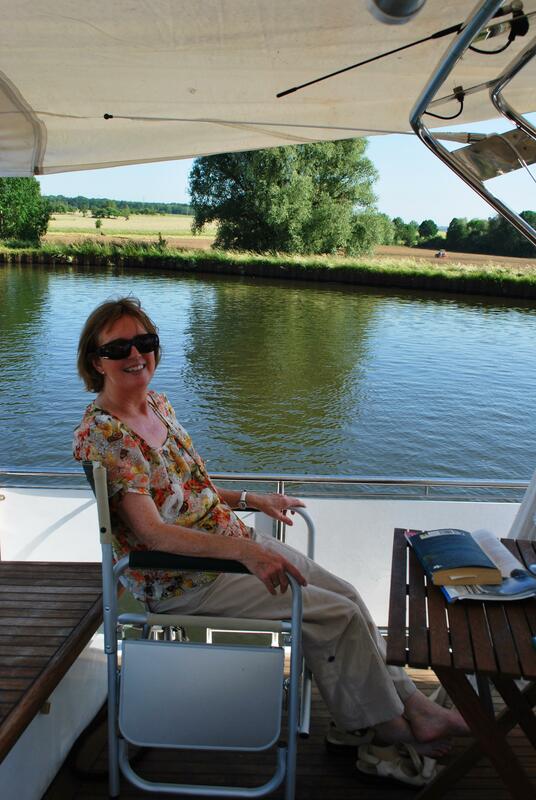 We are moored up along the bank in Hesse without shore power. 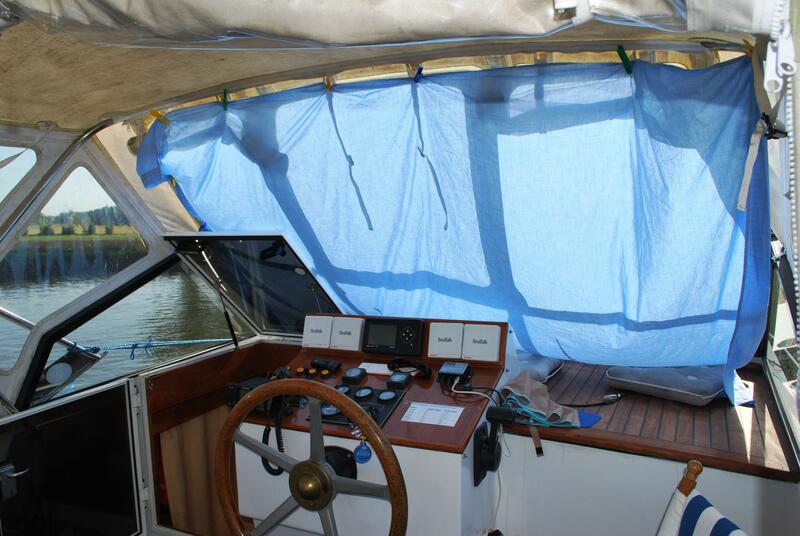 Note, Nuala put a sheet up over the windows of the boat to try and keep us out of the direct sun and cool. We are going to run the fans all night tonight and I bet the boat batteries will be flat by tomorrow morning! But we cannot complain about the sun and the heat as if we were in Ireland we would be complaining about the rain! 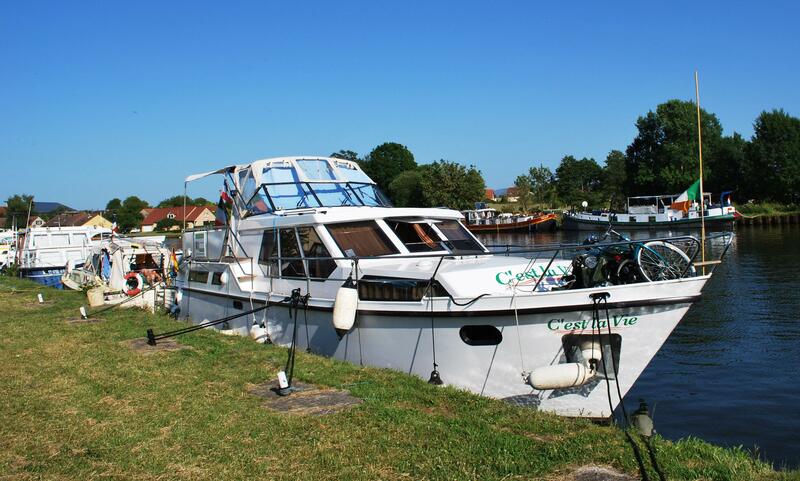 This entry was posted in C'est La Vie - The Boat, Experiences on the Canals, On the Journey, Places visited and tagged Hesse, La Canal de la Marne au Rhin Est, Legarde. Bookmark the permalink.